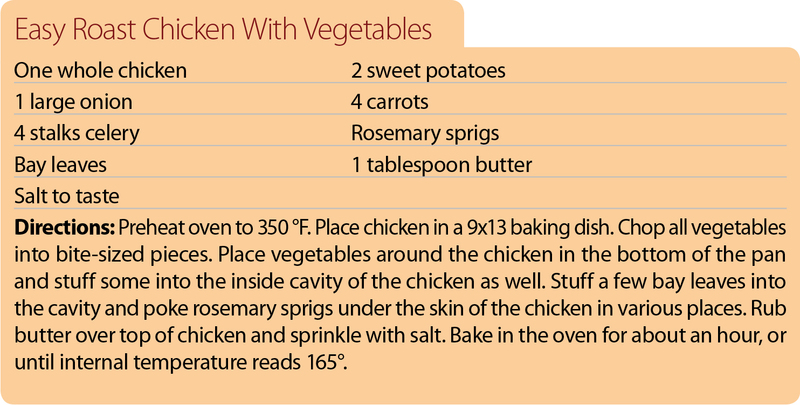 Packed full of nutrients, root vegetables are hearty, delicious, and healthy comfort foods. Here's the scoop on how they help, along with three tasty recipes. 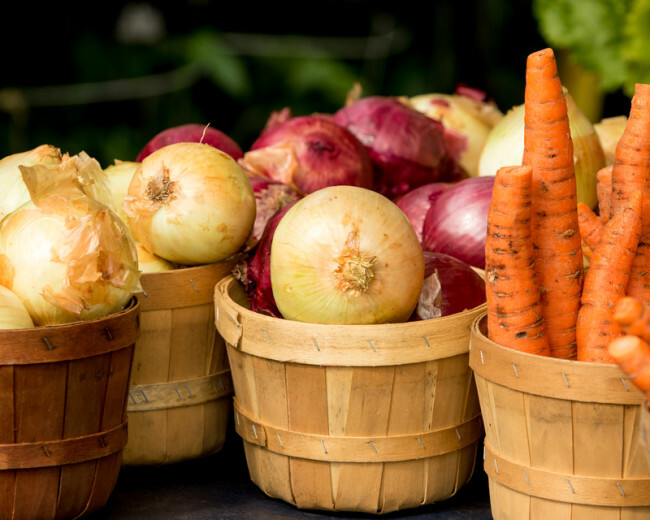 Besides providing a bevy of nutritional benefits, fresh onions and carrots are staples of classic comfort-food stews and soups. When we think of healthy comfort foods, we often think of warm roasts, stews, and other satisfying dishes—the types of foods that typically fill our tables as part of our Thanksgiving feasts. And what ingredients do many of these dishes share? Root vegetables, which happen to be jam-packed with healthy nutrients to fight disease and keep you healthy. Onions are also well-known for their antihistamine actions, which allow them to protect against allergic reactions. Some other health benefits of onions include inhibiting platelet aggregation, keeping blood sugar under control, fighting high blood pressure, lowering cholesterol, and serving as an antifungal and antibacterial agent. Try using chopped sweet onions as a condiment on tacos, curry, or salad. Onions make a wonderful flavor base; add them to your pan before the rest of your ingredients, or add to broth and sauces for rich flavor. Healthy nutrients are most concentrated in the outer layers of the onion, so remove as little as possible when peeling. The bright, orange color of carrots is associated with powerful health benefits. Carotenoids, responsible for the pigment in carrots, promote vitamin A activity, have immune-boosting effects, and decrease the risk of degenerative diseases. Carotenoids may be an inhibitor of Alzheimer’s disease. Carotenoids are also powerful antioxidants that fight cancer. Carrots contain about 51 percent of the dietary intake of α-carotene, and large amounts of β-carotene as well. Higher carotenoid levels are associated with reduced risk of cancers, via a proposed mechanism of reduced oxidative stress and inflammation. One study found that people who drank eight ounces of carrot juice daily (about five carrots) had carotenoid levels at a level previously determined to protect against breast cancer. 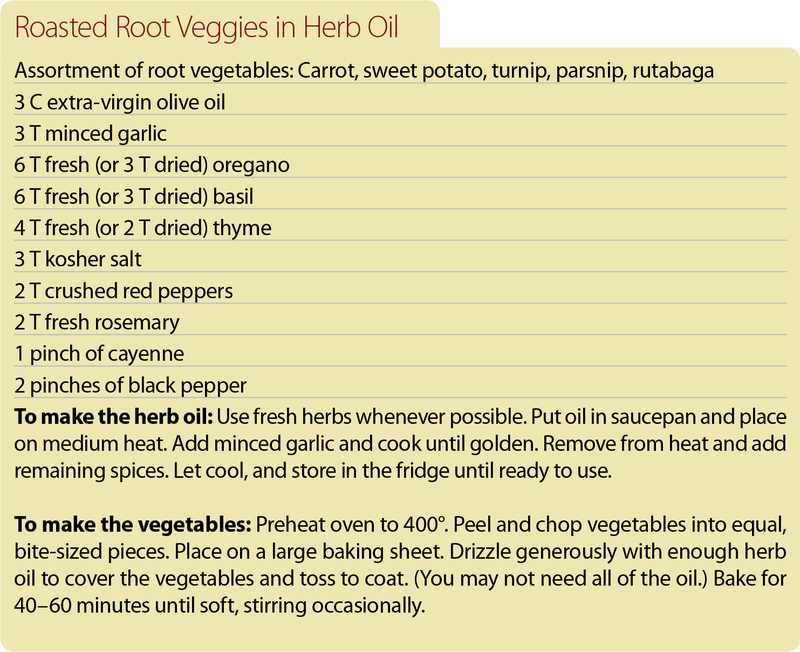 These cancer-fighting root vegetables are delicious raw or cooked. Try not to peel your carrots if possible, as the richest nutrients are found in the skin. With their purple skin and crunchy, white core, turnips can be eaten raw, where they offer a crisp texture and peppery flavor. Try using turnip wedges to dip in hummus or another healthy veggie dip. They are also wonderful cooked into soups or stews, roasted, or mixed into mashed potatoes for an added zing. Rutabagas are mild in flavor and can serve as a healthier alternative to potatoes in recipes. 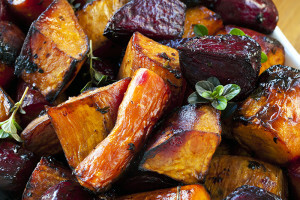 Roasted or baked rutabagas are a delicious addition to a meal and are great with a medley of other root vegetables to pair with a meat dish, such as roast chicken. Beets and parsnips are other root veggies that are good sources of folate, which aids in producing DNA and RNA and lowers the risk of delivering a baby with neural tube defects. Like carrots, sweet potatoes get their orange coloration from carotenoids. β-carotene is a potent antioxidant important for cancer prevention. Other antioxidants found in sweet potatoes include anthocyanins, which have powerful capabilities for treating high blood pressure. Full of vitamins, minerals, and fiber, sweet potatoes have also been shown to reduce the glycemic response, meaning these vegetables can be used to help control blood sugar. Try mashed sweet potatoes or simply bake a sweet potato as a side to your meal. Sweet potato can be pureed to incorporate into sauces and condiments, and it blends well into soups or stews for rich flavor. 1. J Agric Food Chem. 2007 Dec 12;55(25):10067-80. 2. Phytother Res. 2002 Nov;16(7):603-15. 3. J Med Food. 2009 Apr;12(2):374-82. 4. J Food Sci Technol. 2012 Feb;49(1):22-32. 6. J Chromatogr A. 2009 Sep 18;1216(38):6611-9. 7. Food Chem. 2015 Apr 15;173:185-93. 8. Int J Oncol. 2012 Mar;40(3):816-24. 9. Toxicol In Vitro. 2014 Aug;28(5):909-15. 10. J Med Food. 2013 Aug;16(8):749-59. 11. Molecules. 2011 Feb 18;16(2):1710-38. 12. Adv Food Nutr Res. 2007;52:1-59. 13. Food Funct. 2014 Aug 20;5(9):2309-16. Originally published in February 2016 and updated. 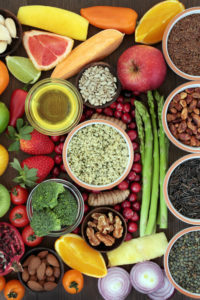 add, allergic reactions, alzheimer, anticancer, antifungal, antihistamine, antimicrobial, antioxidant, antioxidants, beets, benefits of carrots, blood pressure, blood sugar, brain, brain cancer, brassica, breast cancer, cancer, cancer cell, cancer cells, cancer prevention, cancers, cardiovascular, cardiovascular disease, carotenoids, carrot juice, carrots, cholesterol, control blood sugar, cooking, cruciferous vegetables, diet, fiber, fight cancer, fighting high blood pressure, flavanols, folate, food, glycemic response, health, high blood pressure, high blood pressure and, inflammation, leukemia, lowering cholesterol, nutrients, oxidative stress, potatoes, skin, stomach cancer, stress, sugar, supplement, treating high blood pressure, tumor, vegetables, vitamin, vitamin a, vitamins, vitamins minerals.